A warm summer evening on the Canadian Prairies is the perfect time to take the cover off your cherry whip and go for a cruise. Whether you inherited it, bought it or rebuilt it- you put a lot of work in to keep your vintage vehicle in mint condition. Don’t gamble with your investment, let ARC Insurance Brokers protect you with the best coverage for a collector’s set of wheels. Read on for our guide to classic auto insurance and how it differs from standard policies and plans. Does My Vintage Vehicle Qualify? Classic, collector, vintage- whatever you choose to call it, a vehicle that is old enough and used rarely may qualify for special insurance rates. The factors that determine your qualification are fairly standard, they may or may not include: age and condition of vehicle, any modifications, estimated usage, storage, your driving record and the status of other drivers, if any. The reduced rates are what catches most people’s attention about specialty insurance, but it’s not as simple as that. Cheaper policies often only apply if you already insure a daily driver and plan to use the additional vehicle under a certain amount of yearly kilometres. Coverage and flexibility are the advantages of meeting these requirements- should the worse happen, your collector’s item will be valued precisely to market standards. What if I Insure With Standard Policies? 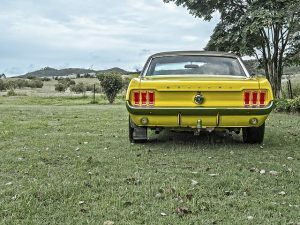 It may be a simple matter to add your retro ride to your existing policy or even make it your primary vehicle- but be warned: standard coverage may not protect the actual market value. Vintage vehicles are more often insured by boutique brokers than major chains due to the intricacies of their repair and restoration. If you have any questions or concerns about insuring a classic car, contact or visit ARC Insurance Brokers today!